About 700,000 people in the United States have hernia repair surgery each year, making it one of the most commonly performed surgical procedures. If you have been diagnosed with a hernia, or you have unexplained abdominal pain, book an appointment online or by phone with Dr. Matthew Lublin, MD, FACS, in Santa Monica, California, to learn more about options that may be available to you. A hernia is when you have a weak spot in muscle or soft tissue, called fascia, and part of one of your organs or some fat tissue squeezes through that weakened area. The weakened area might have been present since birth, or it can come from other factors, such as heavy lifting, coughing, or diarrhea. About 70% of diagnosed hernias are inguinal, and men experience inguinal hernias more often than women. Hernias will not go away by themselves, though they don’t always require treatment, either. If a hernia is small and not causing any symptoms, Dr. Lublin may choose to simply monitor it. Treating a hiatal hernia can include lifestyle changes, such as adjusting your diet and maintaining a healthy body weight. In certain cases, specific exercises may help, but there is a risk of making the hernia worse. Often, surgery is the best treatment for a hernia. 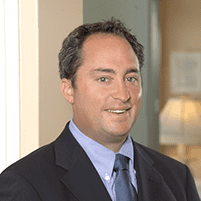 Most of the time, hernia repair surgery is a laparoscopic procedure, meaning Dr. Lublin operates through a small incision using specialized tools. Laparoscopic hernia repair is usually an outpatient procedure with a shorter recovery period than open surgery. How can I avoid getting a hernia? Schedule an appointment with Dr. Lublin to find out whether you might be a candidate for hernia repair surgery, as well as more about the benefits of the procedure.